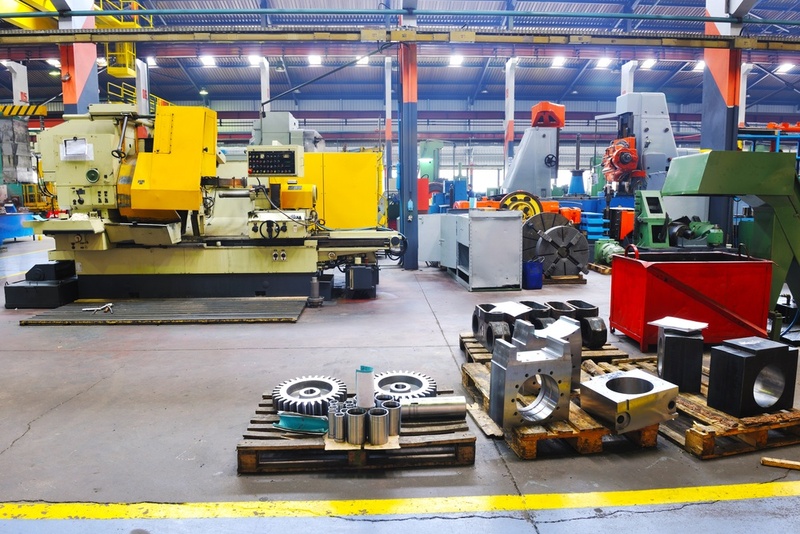 Most B2B manufacturing companies have a pretty consistent playbook. They design products in house, often outsource much of the component manufacturing, and then assemble and test finished goods in their own factory. That mindset pervades much of the operation - they prefer to build and nurture value add capabilities in house. But as digital marketing became more common, even in the industrial space, many manufacturers were challenged to effectively staff required and unfamiliar skill sets internally. So there was a phase in the evolution of digital marketing during which manufacturers began to outsource marketing to agencies. Outsourcing digital marketing made sense in the early days of content when simply following a formulaic, process and activity approach of certain numbers of blog articles and social media posts moved the needle. That was akin to sending a drawing and receiving back a certain number of machined parts. Just as many manufacturers are now investing in their own 3D printing capability for short runs in addition to traditional prototyping, they're increasingly rigorous in evaluating functions. Most manufacturers, who are tinkerers by nature, believe that they can build a better capital equipment sales and marketing engine themselves. They want to "own" the capability. "Last year plus 5%" is a pretty silly way to set a budget - but be honest, that's the way many sales forecasts and capital equipment sales & marketing budgets are set. For many manufacturers the bulk of the marketing piece is actually contained in the trade show line on the P&L. I sense it's starting to bleed over into the B2B space. Constantly under pressure to buy the latest Martech gadget, to demonstrate return, to align with sales and to staff for new skills (like data analysis and video,) B2B companies are beginning to take the same fresh zero based budget approach that their B2C CPG peers already embraced. Manufacturing firms run by folks that are often traditionalists who may be skeptical of social media, blogging tactics, etc. often figured that an agency of millennials might be the answer. After all those folks "got it." Except that in many cases they didn't. Sure, they understood the mechanics of cranking out content, CTAs leading to landing pages with forms to convert, marketing automation, social media, etc. They could build a list of tasks and check them off. But in most cases they didn't understand the industrial manufacturing world in which their clients, and their clients' customers operated. In fact, they sometimes had very little business knowledge. Topics like capital allocation, purchase justification, and engineering evaluation were not well understood. The marketing product reflected that gap. Lots of action, yet little intentionality. So manufacturers naturally ask themselves "Why outsource?" if the outcome is mediocre. Companies used to have a VP of Sales and a Director of Marketing....and IT used to buy software and manage the website. Most companies have refocused IT on security and data management, while intuitive CMSs and easily integrated cloud software have pushed more of the traditional IT functions to the marketing department. Small, lower middle and middle middle market companies may not be staffing with the same gusto as the companies Gartner surveyed, but the emphasis on digital transformation and growth, and recognition of the role of data in PaaS models and new revenue streams is expanding the required skill sets. As the need for those skills, integrated across departmental activities, becomes apparent, manufacturers are further reducing their reliance on an outsource agency model. There's a risk though. Bringing a function in house, and staffing for a skill set doesn't permanently address the requirement. Skills, resources, market requirements all evolve. Many companies blend in-house counsel with outside firms, as they rely on auditors and outside consultants to compliment their CFO and finance team. That's the revenue growth model that's evolving in the industrial manufacturing space. Both types of expertise are missing from every industrial manufacturing company with which I've ever spoken. But they're also missing (at least the full spectrum) from every agency. That means revenue growth becomes a CEO responsibility in aggregate and to a fairly granular level. It's not enough anymore to simply hand it off to a VP of Sales & Marketing. It's now a far reaching strategic and human capital management challenge for companies - both responsibilities which sit squarely in the CEO's lap. It's also an increasing challenge for boards. Following a "nose in, fingers out" approach, boards have to understand the trends well enough to ask the insightful questions of management to ensure that the right people are tracking the critical issues. Manufacturers build stuff - and they prefer to build the muscle to do things themselves. Agencies are struggling to deliver results as detail and nuance, strategy and practical sales and channel experience become more important than simply throwing up blog articles. So companies are taking more responsibility for complex sales digital marketing in-house. And successful companies are drawing on specific expertise to optimize their efforts at both strategic and execution levels. Wondering how strategy weaves its way throughout the revenue growth process? This downloadable guide for management & boards lays out a framework for discussion. Grab your copy today.